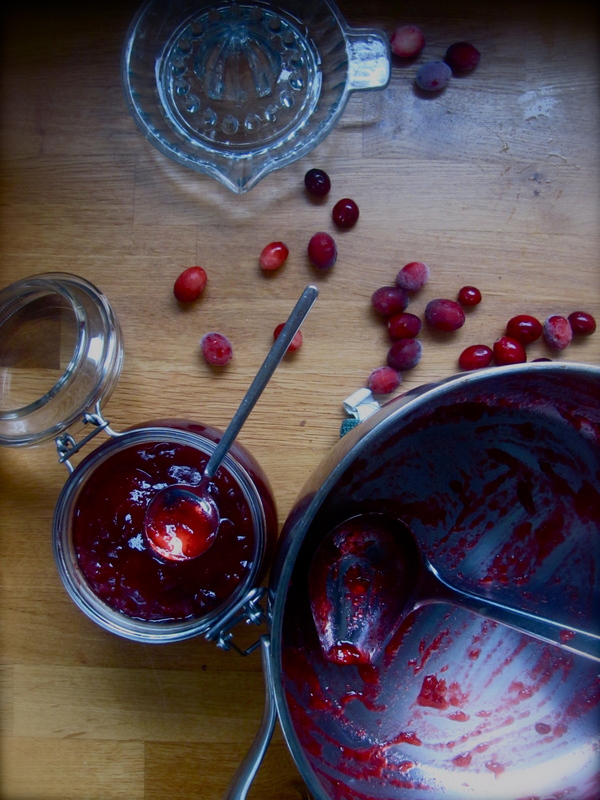 Last year we made cranberry sauce for the first time and it was one of the real highlights of Christmas dinner: flavoursome, light and far nicer than the bought version. 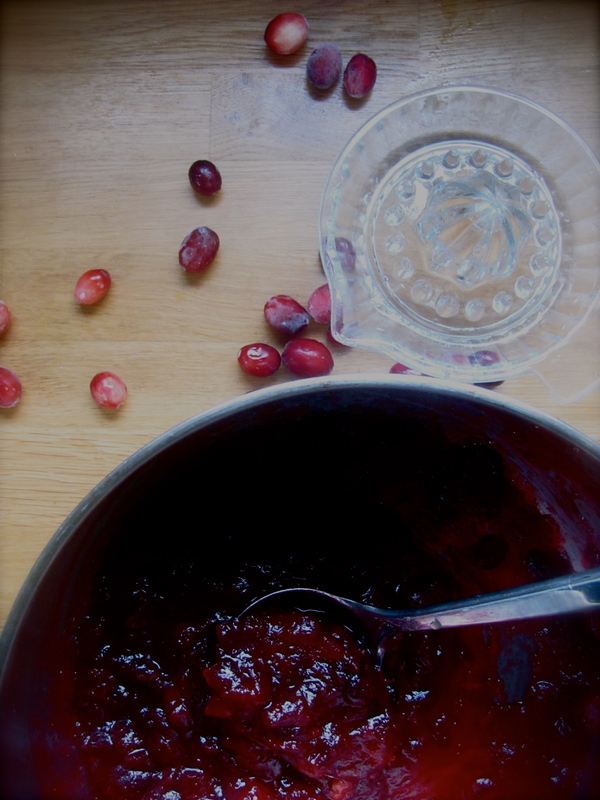 It also was surprisingly easy to make: one minute you have a saucepanful of firm, precise little cranberries and the next you have this wonderful vividly red jam. I adapted one of Nigella Lawson’s recipes for this, because as Trish Deseine tweeted last week, ‘Christmas was invented for Nigella wasn’t it?’. – Boil all of the ingredients together for about 15 minutes. Add a little more orange juice, sugar or brandy until you reach your desired tart/sweet ratio. Mash up any particularly firm berries with a fork. If it seems too sweet add a little lemon juice. 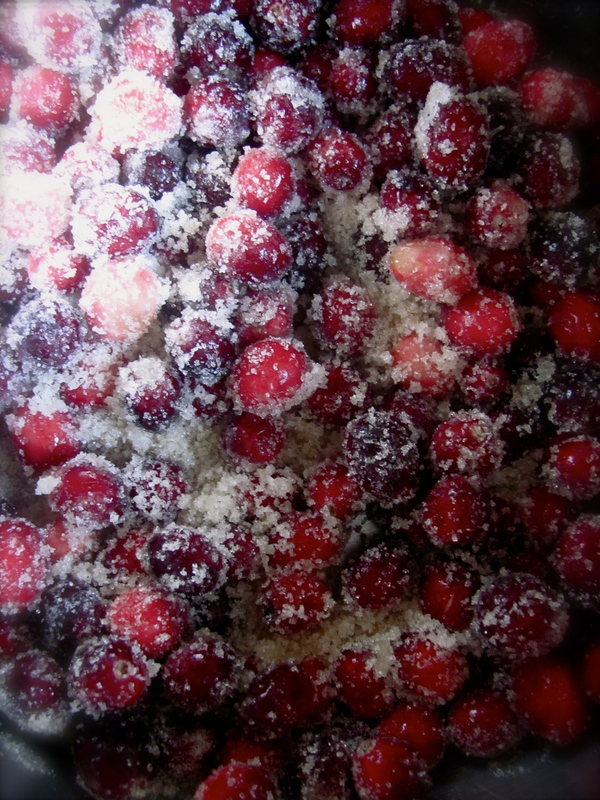 Take the cranberry sauce off the heat before it sets completely: it will set further as it cools due to the high pectin levels in the cranberries.